The three-pointed star is the mark of a Mercedes-Benz but that doesn't seem to be enough for the boffins in Stuttgart. They want people to identify their new generation cars from the older ones and also want the model names to be self-explanatory. After all, they are shedding the image of being elegant, understated grandpa cars and are building snazzy cars that can be driven into a hip hop video straight from the showroom. So what is the new nomenclature? If you see a single alphabet like a C, E, S etc, it defines the blood line. If you see three alphabets instead, then they define the vehicle type and its lineage. The GLE is the recent example of this rebranding. Since the Gelandewagen is the flagship SUV, it retains the single alphabet G, but its children get a GL prefix to highlight the SUV form factor and a third alphabet, like the E in this case, highlights the connection to the E-Class in terms of the level of luxury, equipment or stature. So if my explanation was spot on, things will easily fall into place and you will know what the GLA stands for and why the current GL-Class will soon be called the GLS. The GLE will replace what we have known so far as the ML. It gets the familial face now which makes it look chubby rather than chiselled like the ML. The new headlamps get the all-LED treatment with an adaptive function and an upright twin-slat grille tries to add some edges to the otherwise organic design. Both the bumpers get some hard to notice revisions. 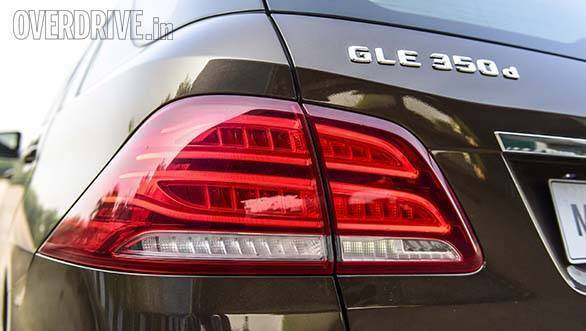 The aging E-Class has nothing but a familiar tail lamp detailing to lend to the GLE. Most of the other design updates seem closer to the new C-Class. It is a similar story on the inside. The stick-out display for the infotainment and the touchpad input device come from the C-Class too and happen to be the only major changes in cabin hardware over the ML. The software upgrade brings the new version of the Comand infotainment system to the cabin. It doesn't scroll as smoothly as in the C, but is easier to navigate than the version in the ML. The upgrade enables the 360° guidance cameras, which is a welcome addition. It works very well and after having to drive this car through narrow lanes and the chaos of Delhi, I wished there was a shortcut for this feature somewhere on the centre console. But the GLE is relatively easy to drive in the city now. 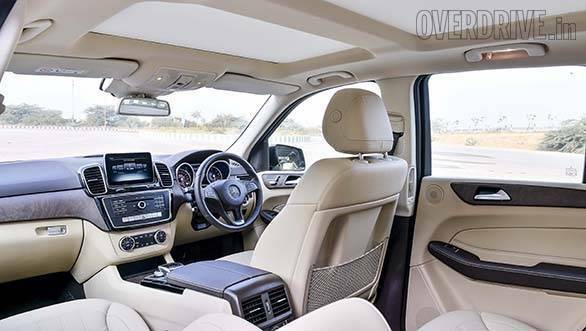 Though the car continues to use the same 2.2-litre or 3.0-litre diesel engines as the outgoing ML, it now gets a new 9-speed gearbox. Called the 9G-Tronic, it is a compact gearbox that fits in the same space as the 7G-Tronic it replaces. The GLE also happens to be the first Mercedes-Benz in India to get this transmission. The two additional ratios help the engine run in a more relaxed manner. Though the 258PS power output is the same as the older ML, it comes in at a marginally lower engine speed - 3,600rpm instead of 3,800rpm. The reduced engine speed means lesser engine stress. In top gear, this car can cruise at 100kmph at a mere 1,300rpm. That is lesser than the idling engine speed for most cars. That also makes for better fuel economy. 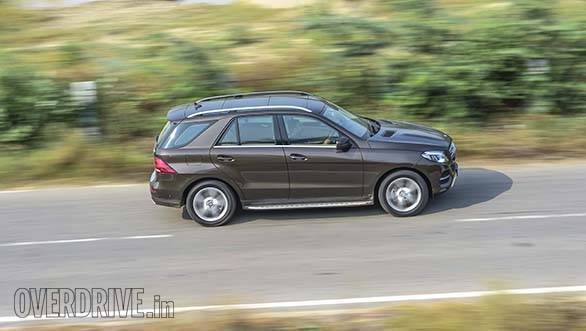 Compared to our test figures of the earlier ML 350 CDI, which read 10.7kmpl in the city and 13.8kmpl on the highway, the GLE 350d returned about 11.5kmpl in the city and 15.2kmpl on the highway. Despite being a relaxed operator, the new gearbox has also improved the sprint times. 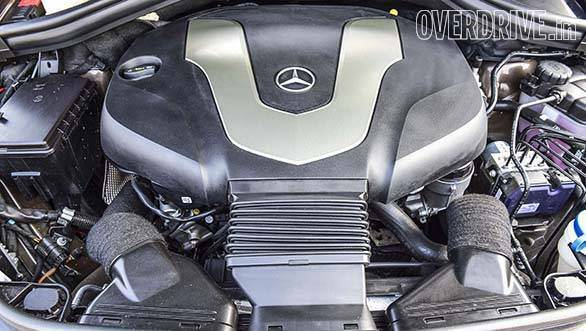 Mercedes-Benz claims that the 0-100kmph has improved from 7.4s to 7.1s. 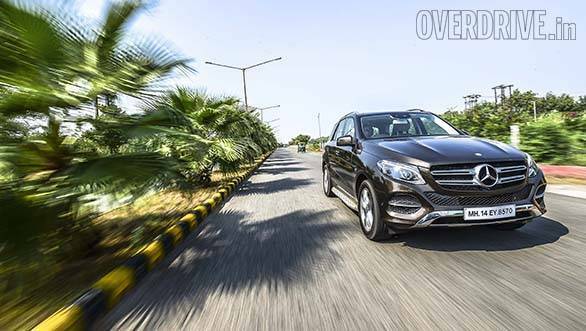 In our tests, we managed the sprint in 7.24s compared to the 7.47s we saw on the ML 350 CDI. 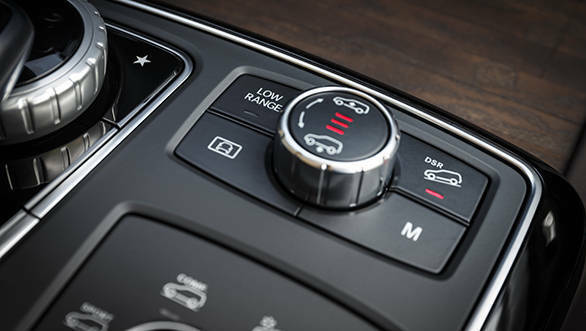 The gearbox is also significantly quicker to respond to part or full throttle and throughout my test, I never felt the need to use the paddle shifters. The improved acceleration is complemented by good roll-on figures as well. But the GLE still remains a sober car. Though the 350d variant gets adjustable air suspension as standard fitment, the GLE still feels very squishy around bends even in the Sport mode. Braking feels a tad too soft and our test car's brakes had a sudden bite towards the end of the brake pedal travel. 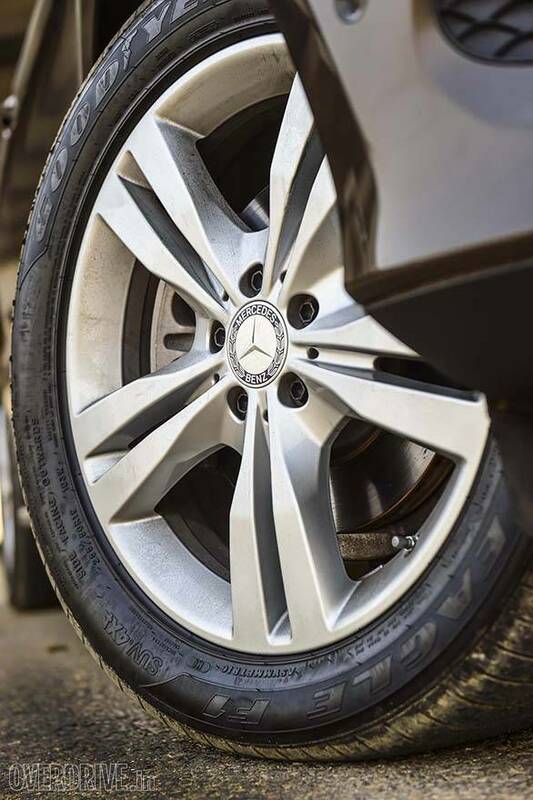 Compared to other Mercedes-Benz cars, I felt that the brake assist function was lacking refinement. So if you want something more enthusiastic, then pay more and get an AMG. Yes, not a BMW, because the X3 isn't significantly better. The Sport mode I mentioned earlier makes the engine and gearbox more responsive and is ideally suited for driving in the twisties. The Comfort mode softens everything and is more suited for urban commutes and highway cruising. The fuel economy figures I have quoted came in this mode. Expect them to be marginally lower in Sport. There is a Slippery mode as well, for icy or snowy conditions and one of the best ways to experience it is by being a part of the OVERDRIVE winter drive we conduct every year in the snowy mountains up north. 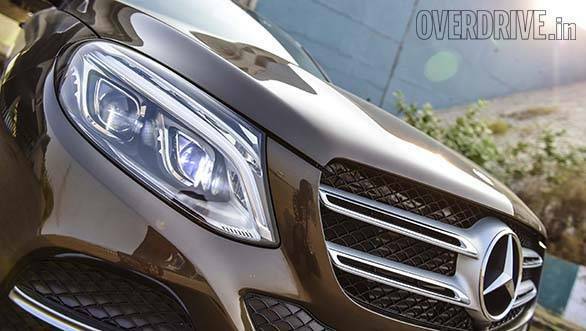 There is an Off-road mode as well and the GLE is equipped well to handle trickier terrain. But I would strongly recommend switching to off-road tyres for the latter as the low-profile 265/45 section tyres and the standard 19-inch rims are prone to getting damaged as the going gets tough. But in a nutshell, the GLE is as capable an SUV as the model it replaces. Yes, it is still the same tasty wine in a more attractive bottle. But the new gearbox and the updated infotainment package make it more attractive. Unlike the previous model, there is no Launch Edition so the features you get with the current car are the minimum that you will continue to get unless Mercedes-Benz decides to add more trim levels at a later stage. 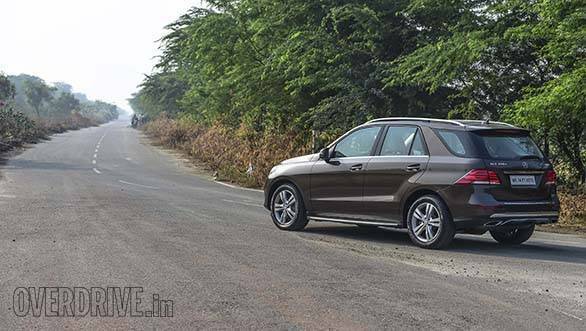 The Rs 2 lakh premium that the GLE charges over the ML isn't a big ask for the new hardware and software and the pricing still remains quite competitive for Merc's able X3 and Q5 rivals.